Pool owners get to enjoy all of the benefits of having a swimming pool on their property, but it also comes with a great deal of responsibility. There are many pool safety tips that need to be followed in order to ensure that your relaxing retreat is clean, healthy, and safe for regular enjoyment. 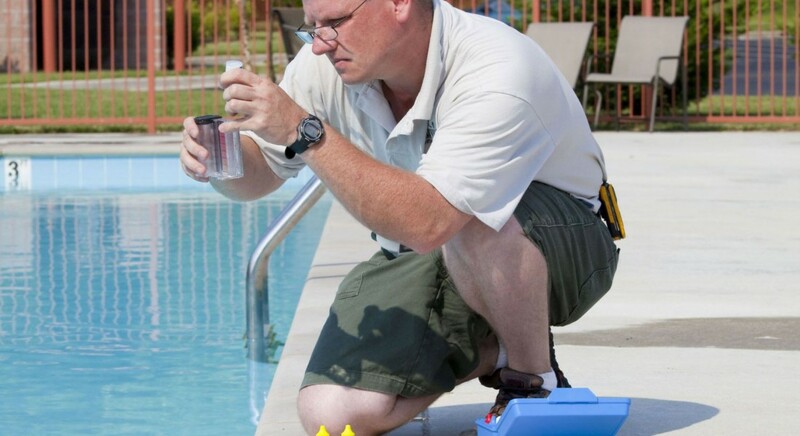 One of the most essential pool tips is to check the water levels and ensure that they are balanced. A Safe and Comfortable Swimming Pool. The chemical levels in the water must be balanced for both safety and comfort. If the chlorine levels are too high, it can burn the skin and the eyes, leading to a very uncomfortable and unhealthy experience for swimmers. It’s also unsafe to swim in an unbalanced pool, because bacteria growth can occur. The chlorine has to be able to work properly to kill off the bacteria and germs in the water. Testing Alkalinity, pH Level, and Calcium Hardness. The total alkalinity level in the water should read between 80 and 120 ppm. This is important for ensuring the right pH balance in the pool. When the pH level is too low or too high, it can cause damage to the pool itself and allow for bacteria growth. The water in a swimming pool also needs to have the proper amount of calcium. When the calcium levels are off, a few things can happen. Too much calcium in the water can make it turn cloudy, leading to stains on the finish of the pool. Too little calcium could lead to the erosion of the plaster, which would be costly to repair. Maintaining the Quality of the Pool. A pool is a pricey investment that you’ll want to enjoy on warm days, so you want to keep it in great shape for years to come. If the chemical levels are off balance for an extended period of time, your pool liner, equipment, and ladders and steps can become corroded and damaged. Keep the swimming pool clean and inviting by checking the water levels several time a week to make sure that it’s properly balanced.